Accident Reconstruction Analysis, PLLC (ARA) is a forensic engineering and consulting firm equipped with a comprehensive testing facility and metallurgical laboratory used to investigate aspects of failure analysis and accident reconstruction. ARA’s client base consists of insurance companies, the legal community, private industry and government agencies. While our facilities are located in Raleigh, North Carolina near the Research Triangle Park and RDU Airport, our engineers routinely travel throughout the United States and beyond to perform field investigations. Since 1979, ARA has performed over 18,000 forensic engineering investigations. ARA was founded in 1979 by Dr. Charles R. Manning, Jr., P.E. along with Charles R. Manning, III, M.S., P.E. ARA offers a diversified list of services to meet the investigational needs of the client. Our engineers perform analysis, research, design and testing with the fields of mechanical, materials, automotive, aerospace, and civil engineering. Cases vary from large scale investigations to small claims involving property damage and personal injury. 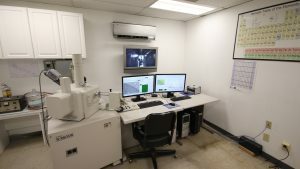 ARA has both the resources and the laboratory facilities to test products and materials to determine whether standards have been met in manufacturing and design and pinpoint possible failure causations. All investigations are well documented and reports are issued upon request. ARA provides litigation support and testimony when requested. ARA is equipped with laboratory support both for use on in house cases as well as by outside companies for testing, validation, examination, etc. Our laboratory services provide valuable insight for many types of litigation and are used in evaluating potential product issues for manufacturers.